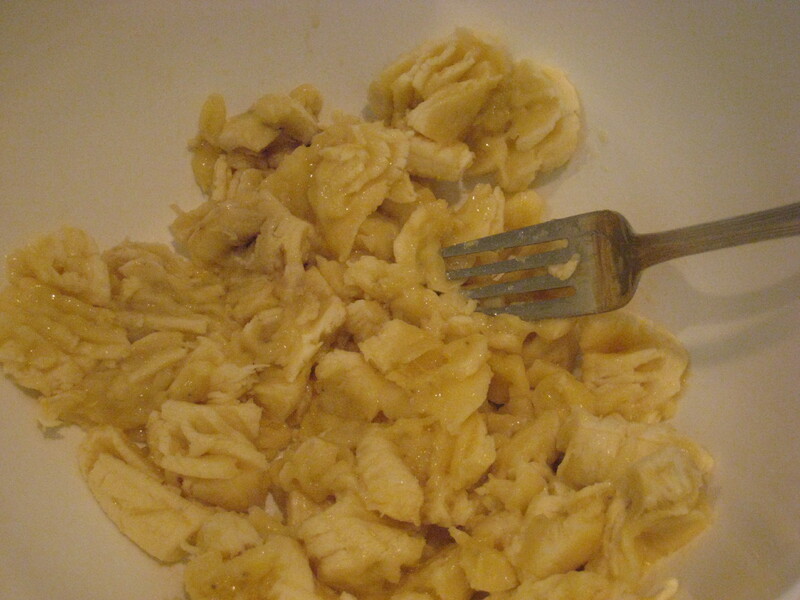 This is a gluten-free version of a recipe that has been in my family for years. It is an easy, one bowl mixture that is great to make with kids. My daughter who is my most honest critic loved them–and she has no problem telling me when one of my baking experiments is an “epic failure”. 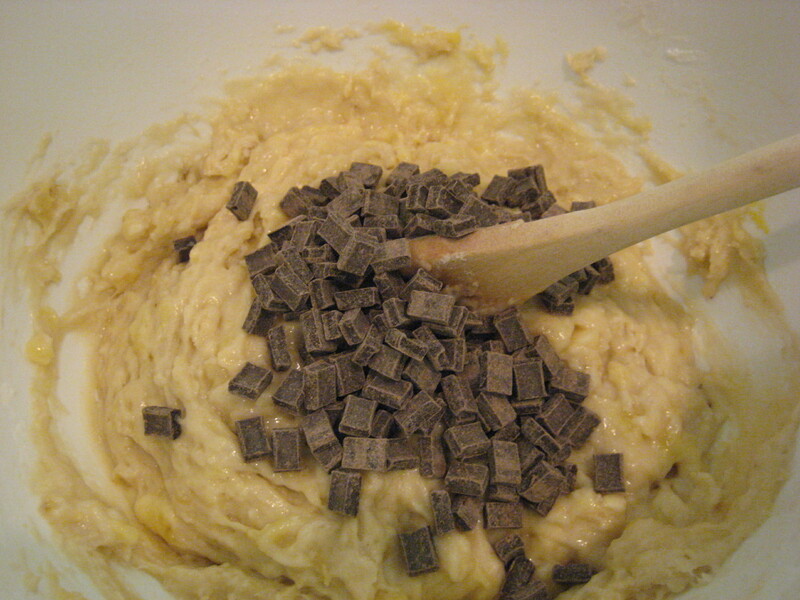 Combine rest of ingredients first, then mix in chocolate chips. Divide between 12 muffin cups. 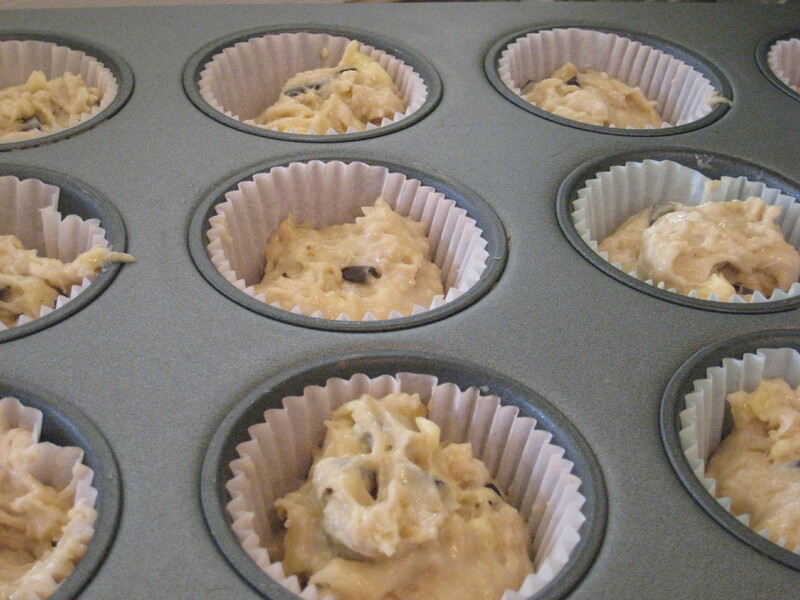 Bake at 350 in preheated oven for 20 minutes. Yumm, Julie! 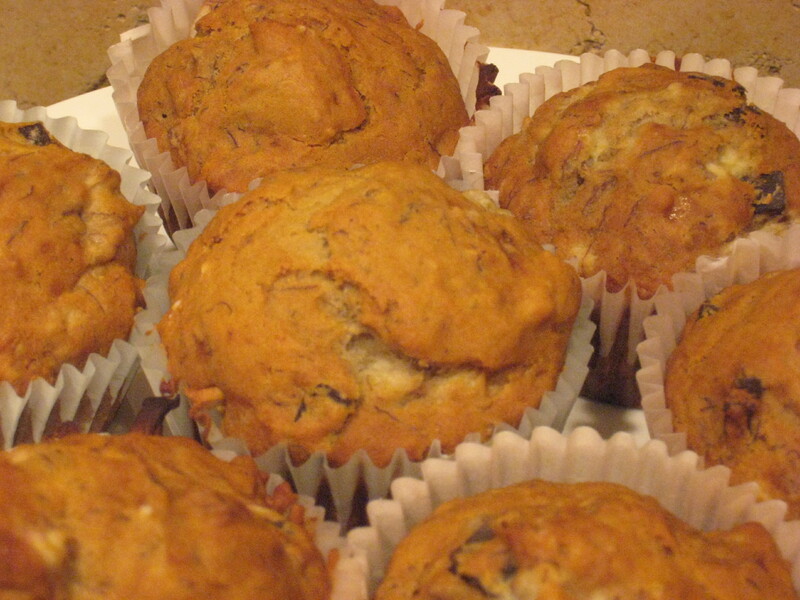 I love banana muffins and I like the idea of chocolate chips. I’d probably put a few walnuts in there too, and I love nuts in my baked goods, but not every one does. Thanks for the recipe!